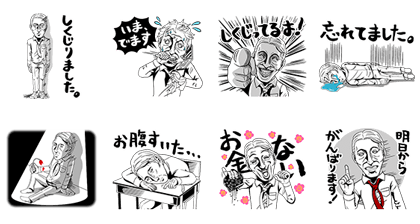 http://www.line-stickers.com/ – Shikujiri Sensei Line Sticker | Starting April 20, Shikujiri Sensei will be gracing TV screens every Monday night at 8pm with his new show. (The first episode starts at 7pm!) Heʹs one of the stars of the new series coming soon to a television near you! 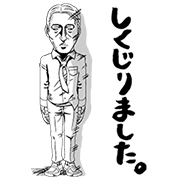 Friend TV Asahiʹs official account to get these stickers for FREE. Available till June 16, 2015. Previous post Joe from Next Door!